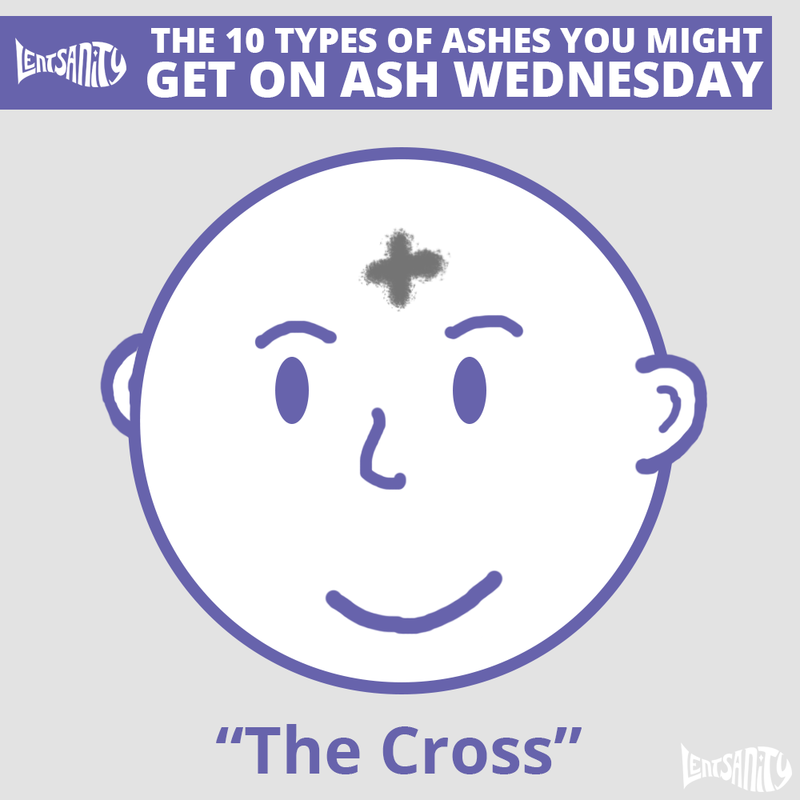 Today is Ash Wednesday, the first day of Lent in the Western Church. Today, through fasting and prayer, we begin the preparation for the feast of Easter. I, of course, am giving up magical girls for Lent. And don't forget that it's not too late to join the Sci Fi Catholic Lenten Read-a-Thon. We begin with the Meditations of Marcus Aurelius, and I'll be posting reflections as we go. Anyway, they say Ash Wednesday and Palm Sunday are the most heavily attended Masses every year, beating out even the classice combination of Christmas and Easter, apparently because at Ash Wednesday and Palm Sunday, you get a souvenir to take with you (the flesh and blood of God not being enough for some people). That gives me an idea: we should totally give people a sticker book or stamp book they can take to Mass, so you can get a gold star or a little bunny stamp every time . . . or maybe one of those temporary tattoos. I would totally be at Mass every day for a temporary tattoo. Dibs on the glitter unicorn. Wait, where was I? Ah, yes. 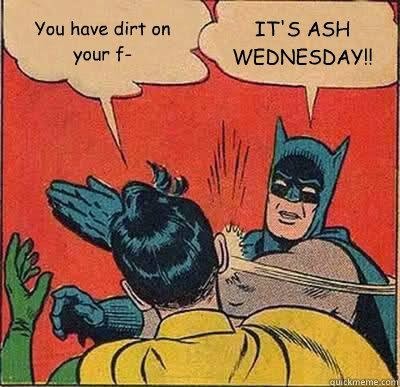 Today is Ash Wednesday, and though I normally ignore the "press releases" I get in my inbox, one from some group called FOCUS, which I think is a Catholic campus group or something, sparked my interest. They have a smartphone application (because I totally have time to say all the syllables) called "Lentsanity," which is kind of fun. It has daily reflections and articles as well as some more amusing features, such as the "Meat Police" notifications that give you warnings before mealtimes on Fridays. So check it out. Okay, it's a little obnoxious, but it's cute. 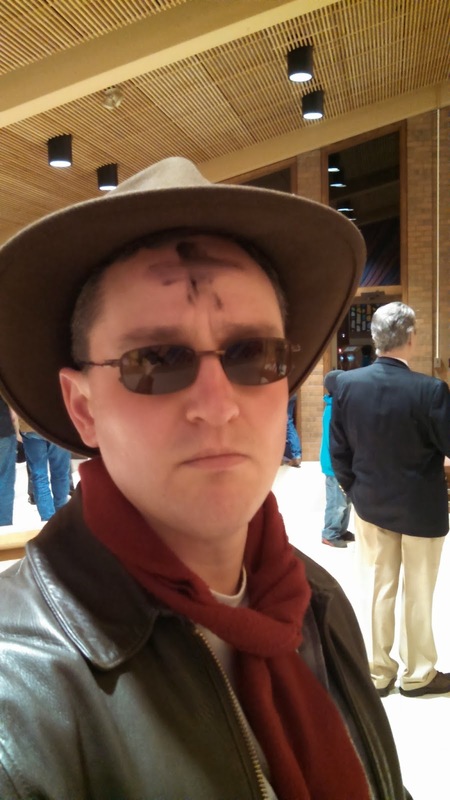 So it seems also that a lot of people are doing something called #Ashtag, wherein you are supposed to take a picture of yourself after Ash Wednesday Mass to report which of the ten types of ash you got. I kinda hate Twitter, but then again I have a blog. So, I thought, why not? 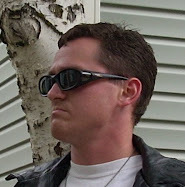 As always, I look like a curmudgeon. According to the FOCUS blog, I got the classic "cross," but I think it kind of looks like a little guy running. I was kind of hoping I might end up with the "unibrow" or the "loomster" to make this blog post more interesting, but that didn't happen. 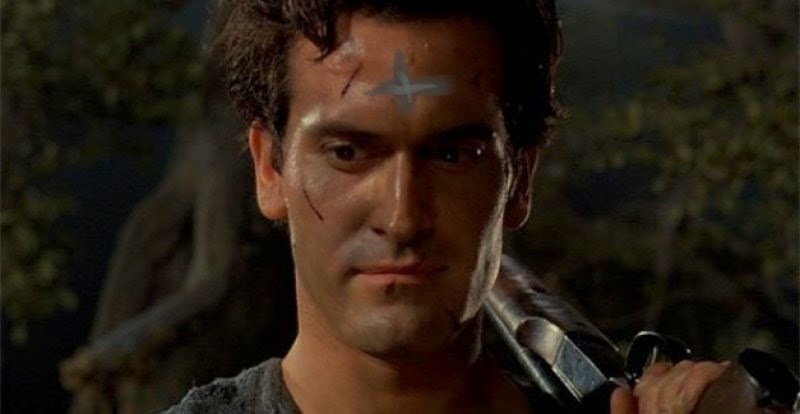 I guess my priest knows how to make forehead ash crosses the right way. Ah, that one never gets old. So there you go. Have a blessed Lent.